Hello! This week I have a fun card to share for Tuesday Throwdown's challenge. This week's sponsor is MyGrafico. 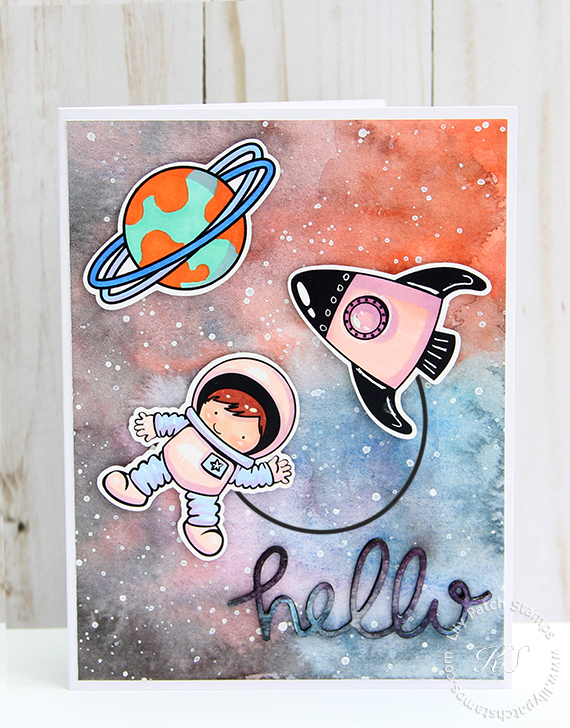 I am using Space Art digital stamp set. I created the background using Kuretake Gansai Tambai watercolors. The images were colored in using Copic markers and accented with a white gel pen. I used my Scan 'n Cut to fussy cut the images. I die cut the sentiment and used distress inks to create the galaxy look to go along with the background. Please head on over to the TT blog for more DT inspirations and enter to win a fun prize from this week's sponsor. Beautiful and so cute Pam. Loving it!!! Happy Crafting!!!! Really love the colors you picked for the background, it looks awesome. Fun card!